Planning to create an online store? If yes, you might be confused between WooCommerce and Shopify. Well! Both platforms are feature-rich eCommerce platforms. Each comes with its own set of strength that can make you more confuse which platform you should go with. Nevertheless, don’t worry we have a detailed and unbiased review of these two platforms that is surely going to help you to choose the best one. Unlike other WooCommerce vs. Shopify tutorials, we will not leave you in doubts. Opposed this, this review will be an answer to your various questions associated with WooCommerce and Shopify. You can read the full review of Hostinger.com tutorials. Let’s compare some major features of both; on the basis of which you can better judge with which platform you should go. The very first thing you should look for is easy installation procedure as it can define your future experience with the platform. WooCommerce is a popular eCommerce plugin for WordPress. To install WooCommerce first, you must have a fully-functional WP Site. In the case you do not have a WP site, you need to set up a WordPress site first. Read the tutorial to install WordPress. Log in to your WP account, go to Dashboard->Plugin->Add New and then search for ‘WooCommerce plugin’ and install it. Now activate the Plugin. Soon after, you will go through a wizard, where you will find various settings. After few clicks, your WooCommerce store is ready to function, now you can add your products that you want to sell. 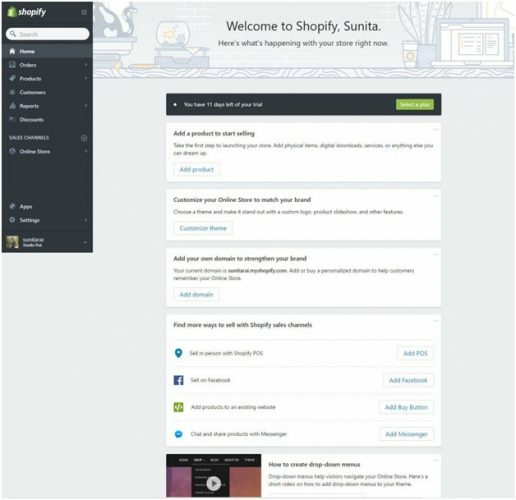 Unlike WooCommerce, Shopify is a readily-available platform. To install and activate eStore with Shopify, you just need to log in to their official website i.e. shopify.com. After that, you have to click on ‘Get Started’ button available on the top right corner of the website. As soon as you click the following screen will open in front of you. After filling up the required information, you will go through a setup wizard. Further, you will be asked to add your personal information and information about your eStore. Now you are ready to access Shopify dashboard and add products. As you can see in the following screenshot. Review- Both platforms are easy to install, even the layman who is not friendly with web coding can easily install them. To create an eye-pleasing eCommerce store, you must have options for beautiful themes and designs that have a strong user-interface as well. When it comes to themes and designs, It comes with a lot of options. A large number of premium and free themes are available in WordPress store. Moreover, there are numerous 3rd party developers who create themes for WooCommerce. Themeforest is a popular platform where you can look for mobile-responsive, user-friendly Premium themes. Coming to the Shopify, this platform also provides numerous options for themes. However, in comparison to WooCommerce, these options are very limited. Apart from this, Shopify’s official themes are more expensive than WooCommerce premium theme. Review:- We can see that WooCommerce has more theme options, and one major reason for the same is, it is a product of prestigious CMS i.e. WordPress. As said before, WooCommerce is a free-of-cost plugin from a globally renowned Content Management System i.e. WordPress. If you already have a fully-functional WordPress website then you need not pay a single penny to set up your WooCommerce store. However, if you don’t own a WP site, you will need a domain name, web host, WP theme, and SSL certificate. And the cost of all these essentials will depend on the costing of your web-hosting provider and further your requirements. We can say, with WooCommerce, there is no fixed pricing. You can go for higher and lower hosting plans according to your requirements. Moreover, you can reduce the cost of hosting plan by switching to different hosting providers. There are few web host providers such as Hostinger, GoDaddy, etc that promises to pay free SSL certification, a domain name with their premium packages. You may consider such providers. On an average, a basic online store with WooCommerce should cost you $10/mo. As the name indicates, ‘Basic Shopify’ is a low-cost plan that has been specially designed for small businesses and startups. ‘Shopify’ and ‘Advanced Shopify’ plans have some advanced features, which is usually preferred by the medium and large enterprises. All these plans come with free subdomain from Shopify. However, if you want to buy a custom domain, you can get this by paying $14 extra. Review:- With WooCommerce, you get the opportunity to reduce your pricing according to your requirements. Opposed to this, Shopify is readily available eCommerce platform but it seems expensive than WooCommerce. Whatever eCommerce platform you choose, if you want to rank well in the search engine results, it should be able to opt the latest SEO techniques. Search engine optimization is the process of obtaining organic traffic from search engines. As a result, you must pick an SEO friendly eCommerce platform. Let’s find out how these two platforms stand in this category. As you know, WooCommerce is WP plugin, which is popular for numerous SEO capabilities. Like WordPress, It is capable to perform various SEO techniques. You can easily edit meta tags, alt tags, body content, etc. Shopify is also fully loaded with SEO techniques. You can easily perform SEO tasks such as meta tags, title tags, image optimization, image tags, etc. Review:– Both platforms are exceptionally amazing in the term of SEO. 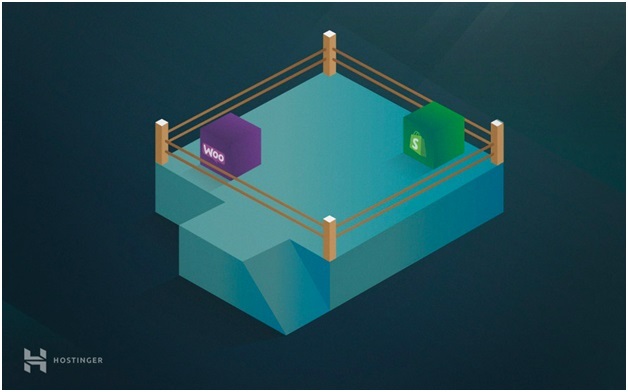 After analyzing each category, we can clearly say that WooCommerce is the winner. It has larger features, more themes, design capabilities and liberty to manage pricing.